West Texas A&M University’s six-month national search for a provost/vice president for academic affairs is over. Dr. Brian R. Chapman will exit his position as dean of the College of Arts and Sciences at Sam Houston State University and will officially start his new post at WTAMU Aug. 1, pending approval by The Texas A&M University System Board of Regents at its July 21-22 meeting. “We were looking for someone who could challenge us and help guide this University to new levels of excellence. I think we found that person,” Dr. Russell C. Long, WTAMU president, said. Chapman, 59, was born in Corpus Christi and earned three degrees in Texas, including his bachelor's in biology at Texas A&M University—Kingsville in 1967 and master’s and Ph.D. in zoology at Texas Tech University in 1970 and 1973, respectively. He spent the first 17 years of his teaching career at Texas A&M University—Corpus Christi, which included stints as acting chair of the Division of Science from 1973-1978 and chair of the College of Science and Technology’s Division of Graduate Studies from 1981-1990. He taught at the University of Oklahoma and the University of Georgia before accepting his current position as dean at Sam Houston State in 2000. Under his leadership at SHSU, the amount of annual funding through extramural grants and contracts in his college tripled, rules and regulations to ensure program quality and faculty compensation for online degree programs were developed, numerous state-of-the-art teaching and research labs were created, the University Theatre was renovated, construction began on a new $18 million facility to house the chemistry and forensic science programs, and new undergraduate and graduate degree programs were added to the curriculum. Although his administrative responsibilities have taken priority in recent years, Chapman was an eminent ornithologist and mammalogist as a faculty member. His research focused on vertebrate ecology and management of endangered species with emphasis on birds, bats and rare or protected species, animal distributions, habitat use and animal behavior. He authored or co-authored several books, including “A Land Manager’s Guide to the Mammals of the South,” scheduled for release later this year, edited or contributed to a number of other books and professional journals and has written various monographs and journal articles on his areas of expertise. Chapman replaces Dr. Flavius Killebrew, who left West Texas A&M to accept the presidency of Texas A&M University—Corpus Christi. 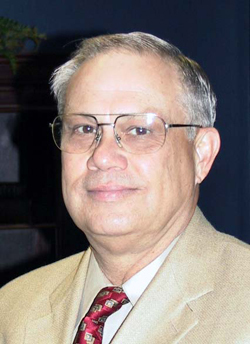 Dr. Robert Kirby, formerly of Texas A&M University—Kingsville, was temporarily lured out of retirement to handle the provost’s duties during the search period. The provost/vice president for academic affairs is the second in command in the University structure and has primary responsibilities for all academic programs, the Graduate School and research, Cornette Library, continuing education, institutional planning and analysis, and enrollment management. “I’m looking forward to working with Dr. Long and the faculty and staff at West Texas A&M. Everyone seems extremely easy to work with and just loves WT,” Chapman said. In a related matter, Barbara Petty, assistant to the vice president for academic affairs since 1995 and a WTAMU employee since 1991, was promoted to assistant vice president for academic affairs. West Texas A&M, a growing institution of approximately 7,300 students, offers one Ph.D. program in agriculture and 43 master’s and 61 undergraduate degree programs.